← Wallace Stevens wants you to buy your ANTHOLOGY I tickets now. We’ve had a wonderful time performing open sessions for actors, musicians, and the community at the Baltimore Free School, and we want to go out with a bang. Join us for our last open session at the BFS this Saturday, May 21st, at 1323 N. Calvert, from 2-3:30 pm. 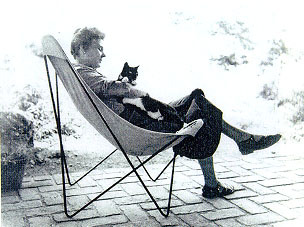 Poems: Elizabeth Bishop and Emily Dickinson. There will be free pizza. Bishop, no doubt making up a poem.